Terrarium TV has been the rising star of free movie and TV show streaming for over a year. Sadly, the developer, NitroXenon, announced that Terrarium TV was shutting down at the end of September 2018. We introduce some great alternatives here, though. Even with Kodi being the king of free streaming video online at this time, it has been in decline for over a year while Terrarium TV steadily grew in popularity. It’s not unusual for popular Firestick streaming apps such as Terrarium TV to close down without warning. The community moves on and finds a way to keep streaming free movies, TV shows, music, sports and more. PLEASE NOTE: There are patched versions of Terrarium TV floating about the internet that still work just fine, but be very careful. Not everyone that is putting these Terrarium TV alternative versions together has the best of intentions. It’s entirely possible some of the versions that appear to work well are primarily put in place to gather information about streamers. Only use these while your IPVanish VPN app is connected to protect your information. Also, make sure to uninstall your current version of Terrarium TV prior to installing the new modded version on your Firestick, Fire TV or Fire TV Cube. In this guide, we introduce you to some of the best alternatives to Terrarium TV. We recommend these apps after testing them for quality streaming experiences. We’re confident that you will find a viable replacement for Terrarium TV in one of these options below. Barring catastrophic failure, Kodi will not be going away in our lifetimes. Being an open source project, it receives constant maintenance and quality checks from everyone that wishes to take part in its development. Kodi as an app does not provide any content, nor does it search online for random streams, although Kodi add-ons do. You can find the best working Kodi addons right here at My True Media. Kodi is probably the most popular streaming media player around today and the most-used alternative streaming app for Terrarium TV users. But, with the latter gone, there is little doubt that Kodi will emerge as the uncontested leader in the online streaming world once more. Kodi is not at risk of being shut down or discontinued—unlike many other free Android streaming apps. It is an open-source app that does not rely on a single developer. Independent developers create add-ons to work within Kodi that allow you to stream TV shows, movies, sports, live TV and more. If an addon is discontinued for any reason, new ones take its place right away. There is always a future with Kodi, even though Terrarium is an app of the past. Install Kodi on FireStick or any other compatible device to get started. You will need to download Kodi addons to stream movies, shows etc. We suggest you install a Kodi build that comes with several preloaded addons. We’ve compiled a great list of the best working Kodi builds to get you started. 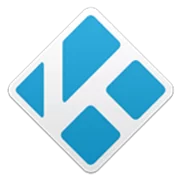 If you haven’t tried Kodi yet, we recommend you give it a try. With our easy Kodi install guides, you can learn how to install Kodi on a Firestick, put Kodi on your iPhone, or any other streaming device. TeaTV is an Android APK streaming application that provides free 1080p HD Movies, TV show for mobile devices and PC. It features an awesome interface for the Amazon Firestick and a solid media library to choose from. Just click the play button at the top of the poster for the chosen title. This will prompt TeaTV to seek streams and ultimately give you numerous choices. As with all streaming APK apps, TeaTV was designed for use on Android devices. While not very remote-friendly, if you install a Mouse Toggle app on your Firestick or Fire TV, Tea TV works perfectly. TeaTV developers have been working hard to make this application more competitive and it is a valid alternative to Terrarium TV. One of our favorite features is that TeaTV allows the user to preview content prior to watching. Simply select a title and then choose to view the trailer. There is a ‘Similar Movies & TV Shows’ category, too; This is a great way to find related free movies or TV shows that may interest you. This app has been around for a while and is considered by many experts as the next in succession to Terrarium TV’s throne. While Terrarium TV was the reigning newcomer, FreeFlix HQ did not get the attention it deserved. But, now that Terrarium TV is gone and many are seeking alternatives, FreeFlix HQ may take its place and start gaining traction. The content library is impressive and the media collection large. For the most part, streaming your favorite media is easy. It also fetches several HD links for better visual and sound quality. Overall, we believe that FreeFlix HQ is a good alternative to Terrarium TV. Its interface is slick, user-friendly and works flawlessly with most Android streaming systems like the Firestick, Fire TV and the Fire Cube. There aren’t a lot of Android streaming apps that are remote friendly and designed for TV devices like FreeFlix HQ is. Learn how to install Freeflix HQ on Fire Stick right here at My True Media. If you’re an Android user and an avid steamer you may already be familiar with Show Box HD. This app was extremely popular for a time, then languished a bit and now is gaining attention again. The fact this app has stood the test of time, unlike Terrarium TV is a testament to the developer’s commitment to the project. This application won’t run directly on Windows, but with the help of an emulator such as BlueStacks, it is possible to enjoy it. Follow our Show Box install on Firestick guide, which includes bonus instructions for how to install Showbox on a Windows PC. This app is not compatible with your FireStick remote out of the box, simply install an additional handy mouse-toggle app on your device to get it working with your Firestick remote. Showbox HD APK has a large collection of on-demand content and healthy links. Give ShowBox HD a try and let us know what you think. Learn to install ShowBox HD. OneBox HD was made to use on Android devices. As with Showbox HD and TeaTV, this app also works better with your Firestick and Fire TV if you have a Mouse Toggle App installed. One Box is a very quick install because it is very small in size, this makes it perfect for Firestick. With an enormous library of movies and TV shows, it is easy to find some content of interest. This app downloads the chosen title to your device, so be sure to have your VPN on while using OneBox HD. Its interface allows you to sort through content categorized by Rating, Popularity, & Most Recent. You can also find titles by Genre or use the Search button in the upper right. With a vast collection of content, light-weight size, user-friendly interface, and videos without scouring the web first make this app worth a try! LATEST UPDATE: We've now received reports that Terrarium TV developer NitroXenon worked with agency officials that caused the Terrarium TV shut down in a plea bargaining deal. Collected information about Terrarium TV users was leaked or handed over as part of this deal. If you've not yet protected your identity and location with IPVanish VPN, the great deal being offered to MTM readers for April 2019 makes now the perfect time to start. If unsure what a VPN is or how it works to protect you, learn about them right here.